My roommate and I were just reminiscing about the time when we both studied in Paris for one magical summer. This is where we had met years ago and have remained close friends since then despite returning to different cities. One of the best things about our stay was being able to grab a croissant at any boulangerie right before class. It would always be warm, flaky and just perfect! When I visited Montreal this past winter, it became my mission to find authentic croissants. Mamie Clafoutis certainly delivered on this. We were so excited that we bought a dozen croissants to take home with us to New York. 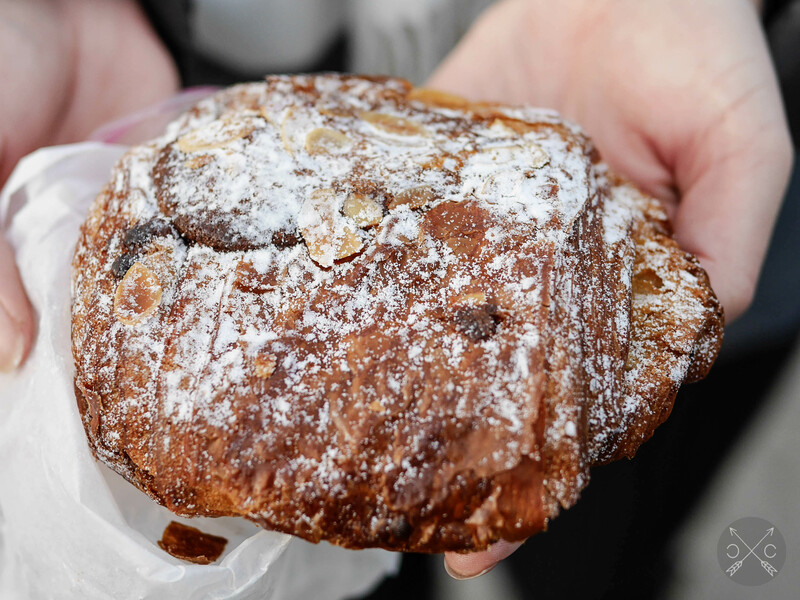 Mamie Clafoutis is known for their pistachio and almond croissants, which are lightly topped with powdered sugar. 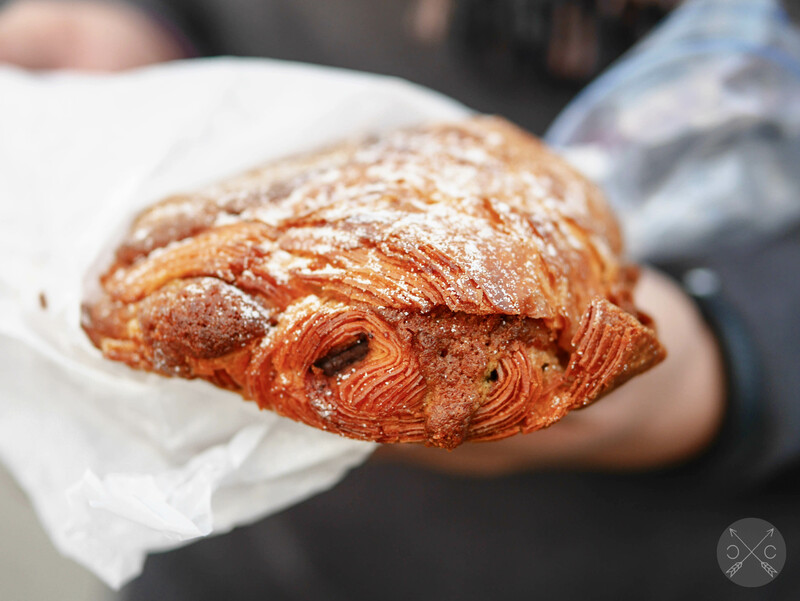 You can see the beautiful layers of the almond croissant here. 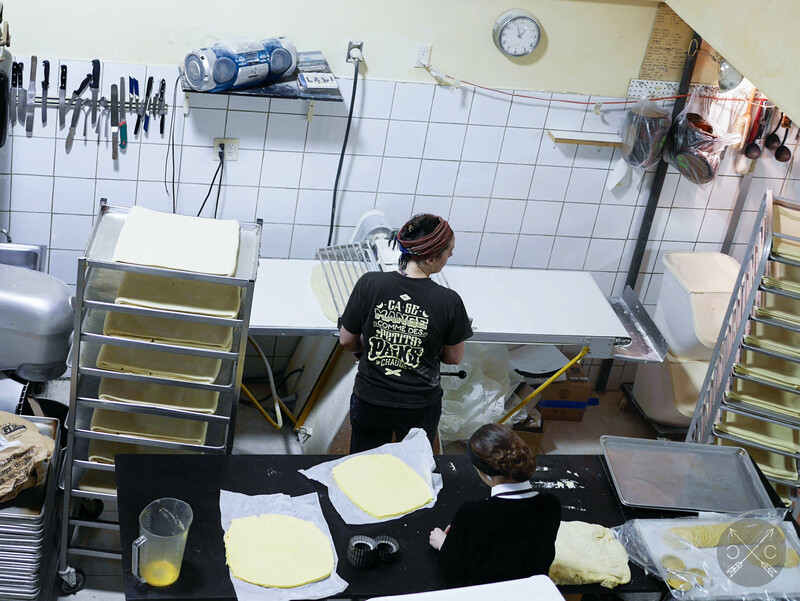 At the bakery, there is complete transparency on how these pastries and breads are produced. 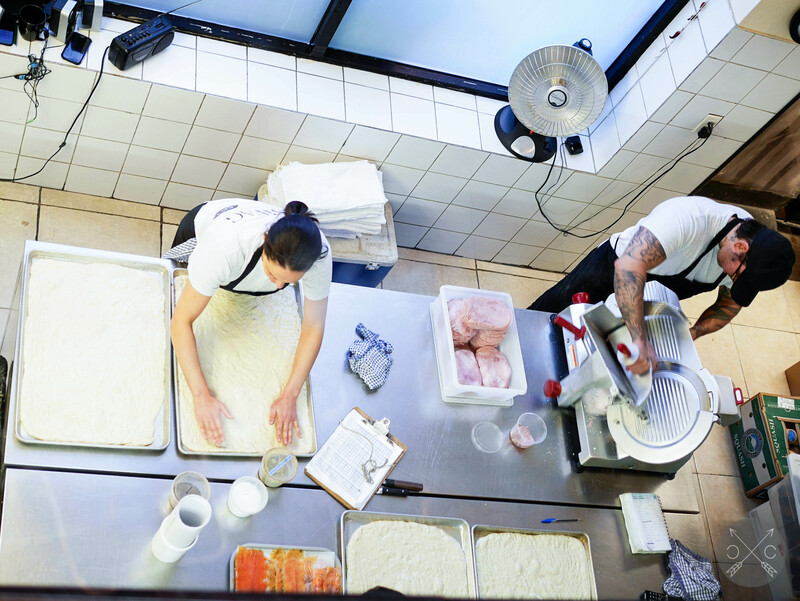 There are windows that peer directly into the kitchen where all the magic unfolds. 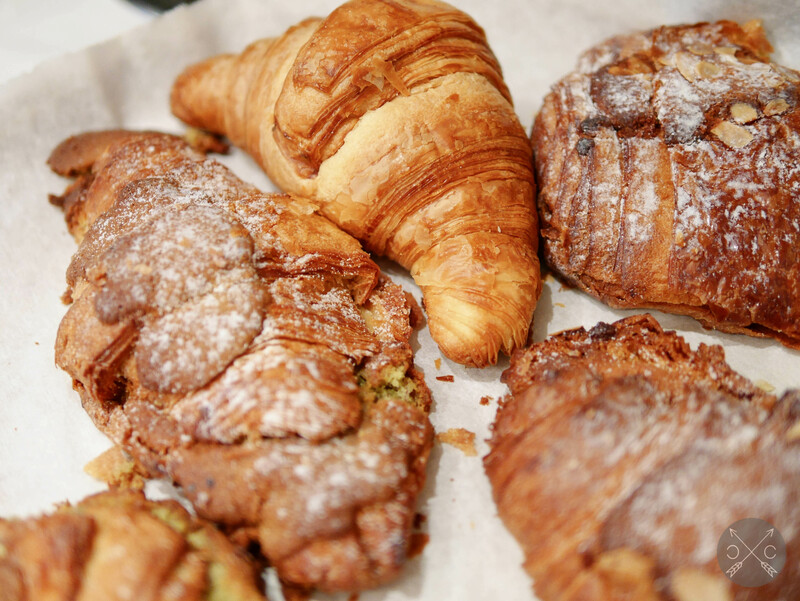 A couple of croissants are crushed in this picture, but you can still see the wonderful flakiness of these pastries. My only regret was not getting another bag of bread to take home. I can’t wait for the next chance to go back to Mamie Clafoutis!